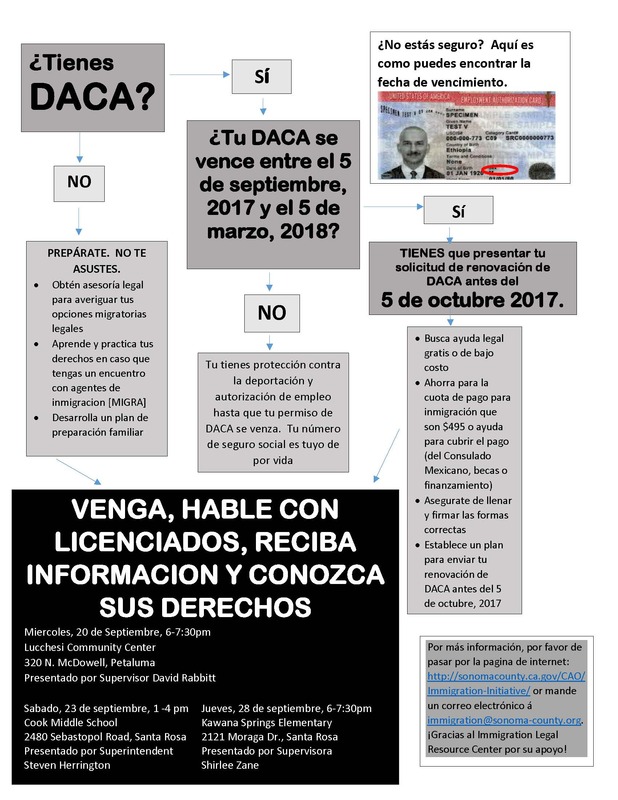 "This is an update on the status of Deferred Action for Childhood Arrivals (DACA), a policy established by executive order in 2012 that grants temporary protection from deportation, known as deferred action, to undocumented immigrants who came to the United States before the age of 16 and meet other requirements. Today, September 5, the Trump administration announced it will begin phasing out DACA over the next six months, giving congress that time to find a legislative alternative. According to the Migration Policy Institute (MPI), 4,000 individuals who are 'immediately eligible' for DACA live in Sonoma County. I recognize this decision is creating anxiety, fear, and uncertainty for these youths, many of whom attend our schools. For your reference, here is a letter to the editor that I submitted to the Press Democrat on this topic." As a reminder, on February 8, 2017, The Geyserville Board of Education passed and adopted resolution #218 - Recognition of a Safe Haven Schools District. "Safe Havens are local educational agencies (LEAs), which include school districts, county offices of education, and direct-funded charter schools that have committed themselves to reassuring students, parents and educators that everyone is welcome on school sites, regardless of immigration status. Safe Havens also provide helpful resources, such as information about immigration laws, and ways to be prepared in case a student or family member is deported." 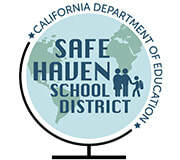 Click here for more information on Safe Havens by the California Department of Education. Here are some resources that could be helpful. DHS will provide a six-month window during which it will consider certain requests for DACA and applications for work authorization. All benefits are provided on a two-year basis, so those currently receiving DACA will be allowed to retain it and their work authorizations (EADs) until they expire. Properly filed, pending DACA initial requests and associated applications for employment authorization documents (EADs) that have been accepted as of Sept. 5, 2017. Properly filed pending DACA renewal requests and associated applications for EADs from current beneficiaries that have been accepted as of September 5 and from current beneficiaries whose benefits will expire between Sept. 5, 2017 and March 5, 2018 that have been accepted as of Oct. 5, 2017. Anyone who has not submitted an initial request by September 5 may no longer apply. The California Dream act, which allows undocumented students to receive financial aid for college, is separate and not impacted by the DACA decision. Student information will be protected. Learn more. The ICE Advocacy Authorization Form gives congressional representatives and their staff permission to contact Immigration and Customs Enforcement on behalf of the person who has filled it out and signed it. It means they can request information about a particular person, such as where and how someone is being detained. For those worried about their immigration status, it is a good idea to have this form already filed in the event of an immigration-related problem. Here are links to the forms for Congressmen Thompson and Huffman. 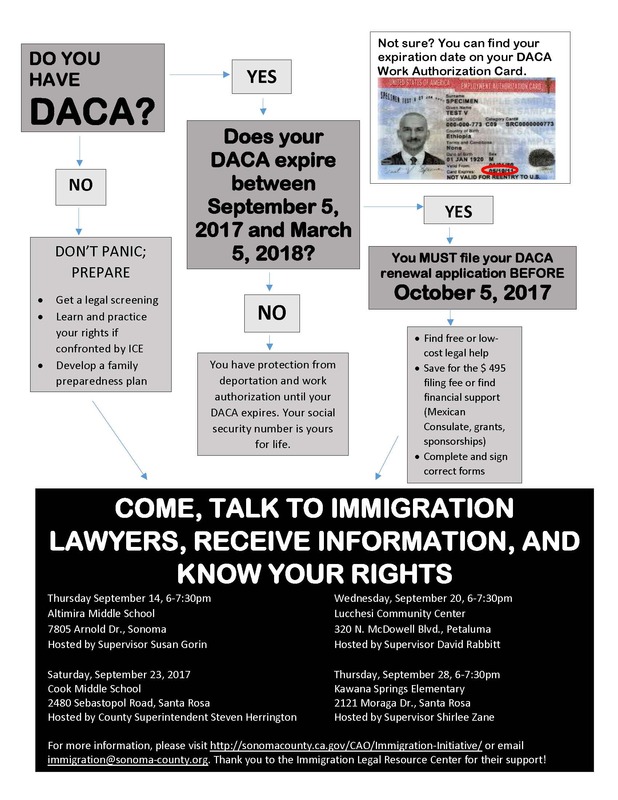 Find out what you need to know about DACA and how you can help.